For many experienced users and professionals, virtual desktops are a very useful feature that can quickly differentiate between work and entertainment, making it easier to discover and improve efficiency. Virtual desktops have been an iconic feature of macOS, and Microsoft. After the success of the education market, Chrome OS will introduce virtual desktop features. 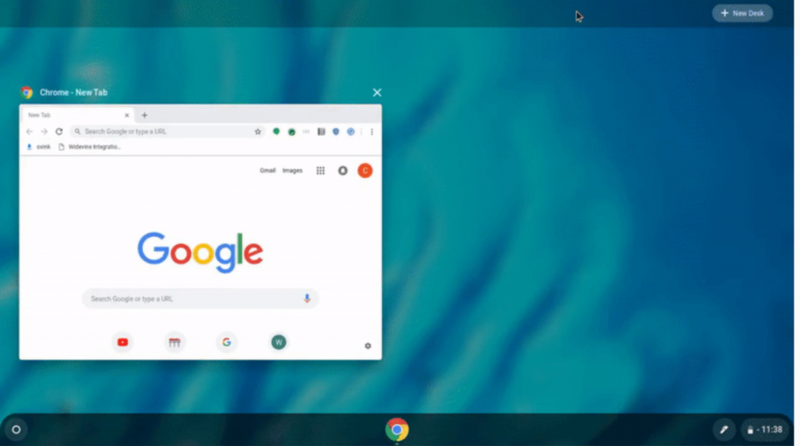 The virtual desktop feature is now available on the Chrome OS roadmap, which Google calls “Virtual Desks” on Chromium Commit. A title called “Virtual Desks 1: Initial scaffolding” has been added to the source code submitted by Chromium’s Gerrit, suggesting that “Virtual Desks” will have various UI elements. This CL adds the very basic scaffolding which will be used in subsequent CLs to build the virtual desks feature. – Bar that will later contain desks’ thumbnails. – The “New desk” button, which currently does nothing. a pre-target handler in WallpaperView to the ShieldView.